It’s the 1st blog post of the year 2017, so why not make it a sweet one? 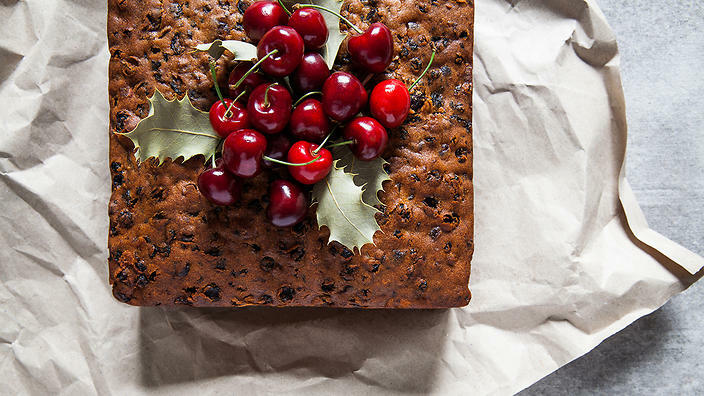 I’ve tried my hand at the famous old recipe of a rich fruit cake but, alas, what is life without its twists (Spice) and turns (Rum) and who said these should be devoured only around Christmas? I say.. let’s make, bake and in return it’ll… help see us through the year and whatever curve balls it throws at us! Belated Happy New Year readers. May the new adventures begin! Slice then chop all fruits and pour 1/4 of the Rum on them and mix. 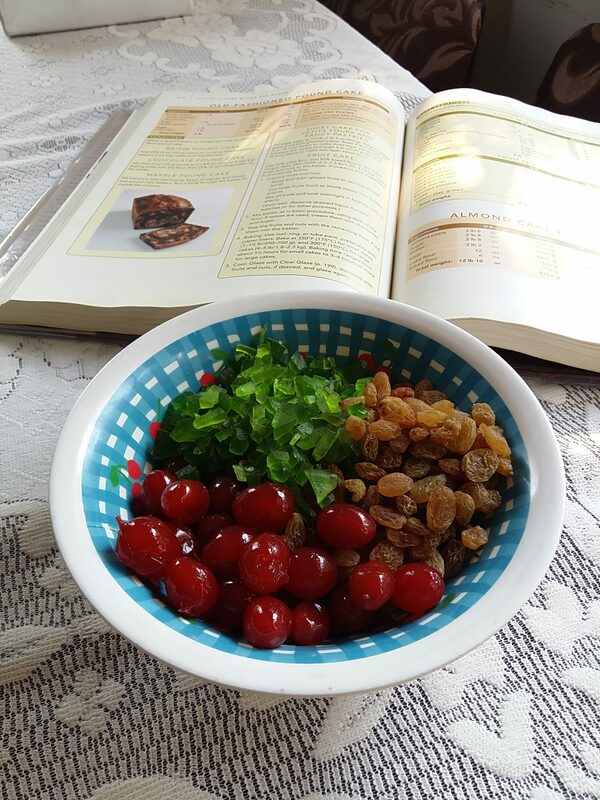 Chop all nuts and then combine fruits and nuts in large bowl. Grease a 1 and 1/2 kg cake tin. Remove 1 cup of this flour mixture, and combine with fruit and nuts. Mix until fruit is well coated. Cream the butter until fluffy. Add extracts. Gradually add sugar, mixing until creamy. Beat egg yolks until light and lemon-colored, and beat into the butter mixture. Add half of the remaining flour mixture, and blend thoroughly. Beat egg whites until stiff but not dry; fold into batter. Stir in lightly the remaining flour mixture. Add floured fruit and nuts, blending in until fruit is well distributed. Turn batter into prepared cake tin, filling it about 2/3 full and spreading batter evenly. Bake in center of oven. Remove from oven and allow to stand 5 minutes, before you pour the remaining rum on it. Once absorbed turn out on a wire rack to cool. Psst. Top it wth some victorian icing and you’ve got the perfect DIY wedding cake. Add extra rum to make it last for those anniversaries, cling wrap and freeze away! ?